Sodding creates an attractive surface, giving your landscape a beautiful transformation. However, that is easier said than done. If you want a smooth and neatly manicured lawn, there are some techniques to do it. 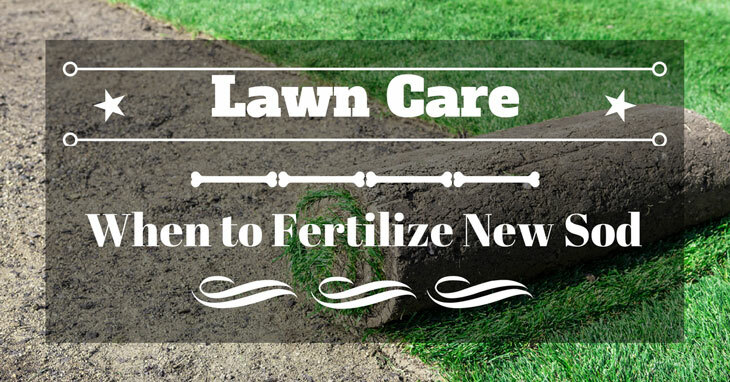 And of course, you need to know when to fertilize new sod. Fertilizing sods using a suitable fertilizer at the right time encourages attractive and vigorous grass. There is a proper time when to apply fertilizer on the new sod. Applying fertilizer too early may put your resources to waste. Applying it too late may also cause the sod to die off. The most important rule to remember is to avoid applying fertilizer within the next 60 days after you lay down the sod. After planting, the root system of the sod is still short and can’t absorb much nutrients. If you apply fertilizer at this time, it will just end up in the soil. But there is an exception to this rule. If the sod turns yellow and is not growing normally, you could apply fertilizer earlier but that should be at least 30 days after installation. 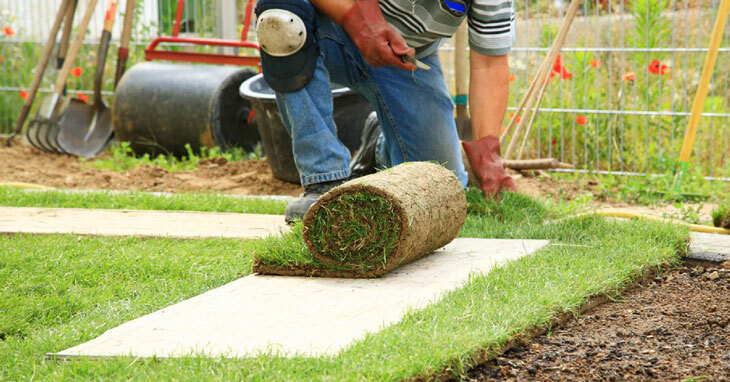 Most gardeners apply sod after 6 or 8 weeks of installation. Fertilizing at this time helps the roots attach firmly to the soil. It could also help keep the grass green and healthy. However, as mentioned above, the exception is when the sod looks yellowish and has spindly growth. 1st week - Proper watering is key to helping new sod grow and establish a strong root system. After installing new sod, water them thoroughly until they turn spongy to step on. Keep the new sod wet up to a depth of about 4 inches by watering them 3 to 5 times daily during the first and second week after installation, depending on the season. During hot weather, you may have to water the sod more frequently. Also, on the first two weeks, avoid stepping on the new sod as this will disturb the roots and will leave depressions on the ground. At this time, have no family picnics or games on the yard until the roots are fully established. 2nd week - At the end of the second week, dry up the sod, just enough so you can mow. After the end of the second week, it will be a transition from watering the new sod several times daily to fewer cycles. 3rd week - At the third week, you don’t have to water the sod daily. You could skip a day between watering and you could reduce the frequency to just 1 to 3 times per day. 4th week - You could water once every other day. After the fourth week, the sod should already be well-established and can go 2 to 3 days between watering. It is ideal to water early in the morning or in the evening when less evaporation occurs. There are many types of fertilizer that you could apply to new sods. To encourage a strong root system, most gardeners use a granular turf fertilizer. Look for those labeled as 5-14-42 or 10-10-10 as they are the popular options. Avoid using fertilizers that are high in nitrogen for your first application as it is known to cause serious side effects on the growth of the sod. Additionally, many gardeners prefer to use a broadcast spreader to make the process of applying fertilizer easier. On the average, you could apply fertilizer at a ratio of 1 pound of nitrogen per 1,000 square feet of sod but it would be best to follow the fertilizer’s label for the correct application. After applying fertilizer, water the sod thoroughly. After six to eight weeks from the time you initially applied fertilizer, you can then follow up using a nitrogen-rich granular turf fertilizer like the 20-10-10, broadcasting it at a ratio of 2 pounds of nitrogen per 1,000 square feet. After fertilizing, water the sod well. It is important to note that if the sod is installed in winter or when it is dormant, do not fertilize until you see them turn green in spring. You could mow the sod after one week of installation. However, be extra careful not to disturb the roots. Keeping the mower blades sharp is key to getting a smooth finish. The recommended height for mulch mowing is 2.5 inches. When mowing, do not cut the sod too short as this may cause the grass to easily die off and become less dense and prone to weed infestation. With mulch mowing, it converts the grass clippings to mulch which goes back to the lawn, decompose and become a natural fertilizer. Do not apply herbicide or pesticide on the new sod as it will kill not only the pests but also the good bugs. If your sod is well-maintained, there will be no need to use these toxic substances. 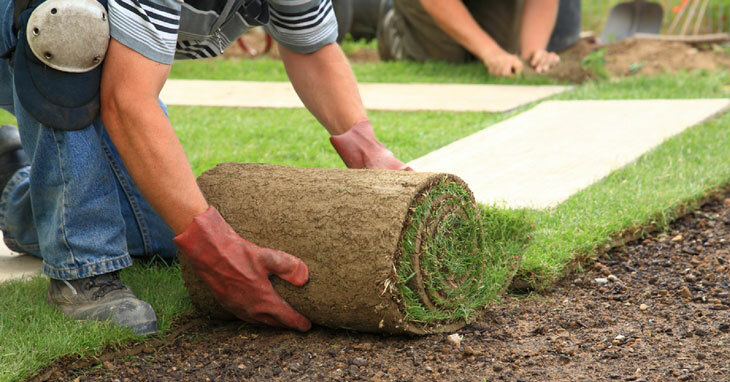 Installing sod can be an exciting time for many homeowners as it can greatly improve the aesthetic of your outdoor space. Your flower garden will look even more beautiful if it is paired with a neatly manicured lawn. But before you could have a perfect grass, you need to first consider how to maintain the sod and when to apply fertilizer. You should do them the right way and at the right time. Our guide above should help you through these processes. Did you find this article helpful? Feel free to share with us your thoughts through the comments. Also, don’t forget to share this article with your friends.